ACS are looking for a Portal Legal Advisor to join the Birkenhead office of a well-established law firm on a full time basis. 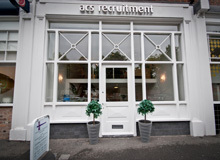 ACS are looking for a Practice Manager to join the Liverpool office of a well-established law firm on a full time basis. ACS are looking for a Recoveries Legal Advisor (Litigation) to join the Birkenhead office of a well-established law firm on a full time basis.